Measurements: 55mm long X 44mm wide. The inner opening is 15mm wide. They are about 4mm thick. Characteristics: These are a matte darker red color with a finish that has a black wash or stain like effect. Color: Matte Red with Black. 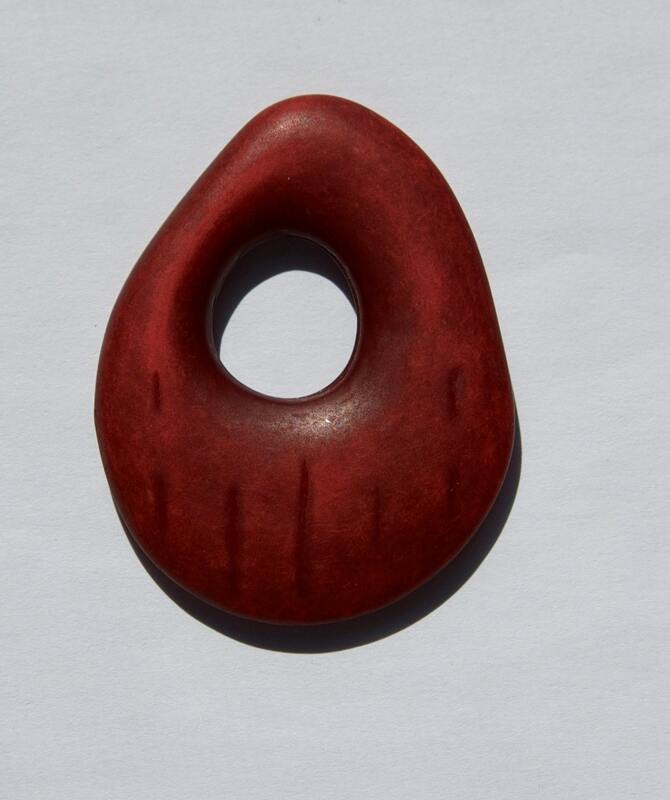 Great scale and "carvings" in this red matte finish roundish pendant. Of course I think of petroglyphs and cave drawings and ideas just spring into my mind. Lovely finish and and overall quality. I'm sure this will be used soon. Thank you for carefully packaging my purchase to arrive in a timely manner and undamaged by the rigors of travel. I will certainly be back soon. Love this pendant...exactly as pictured!